NVIDIA Home > Support Home Page > Knowledgebase Home Page > GeForce Experience driver installation failed. How do I manually install the NVIDIA driver for my graphics card? A driver installation may fail for a number of reasons. Users may be running a program in the background that inteferes with the installation. If Windows is performing a background Windows Update, a driver installation may also fail. 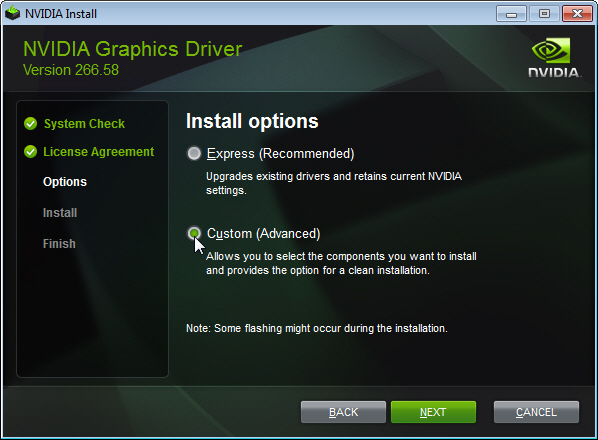 This articles provides step by steps instructions for removing the NVIDIA display driver and then manually install the driver user the NVIDIA Game Ready Driver installer. 2. Start typing on your keyboard the words "Control Panel"
3. The Control Panel icon should appear as a search result. Select this icon to launch the Windows Control Panel. 4. Once the Control Panel launches, look for "Programs and Features" and double-click on the icon to launch. 5. 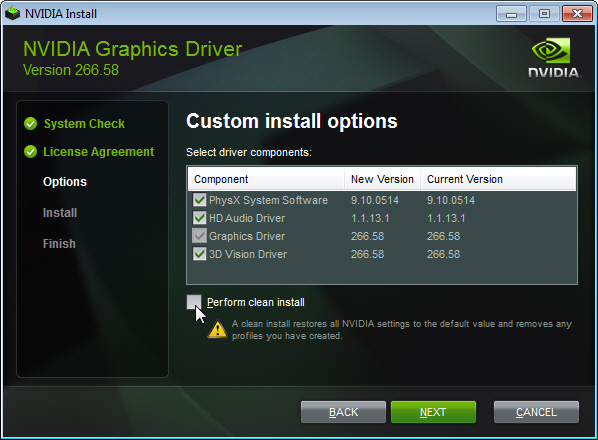 Select NVIDIA Graphics Driver from the list of installed programs. If you have a long list of programs installed on your PC, you may need to scroll down to find the NVIDIA Graphics Driver. Click Uninstall/Change to remove the NVIDIA drivers from your PC. 6. Once the uninstall process has completed, reboot your PC to complete the changes. 8. 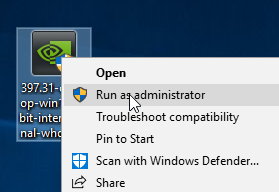 Right-click over the file and select Run as administrator as shown in the screenshot below. 9. 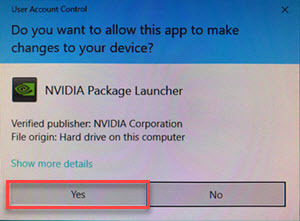 If you are promted by Windows User Account Control, click on Yes. 10. The installer will prompt you for an extraction path. Most user should be fine with the default path. Once the driver install has completed, the extracted files will automatically be removed from your PC. Choose OK.
11. 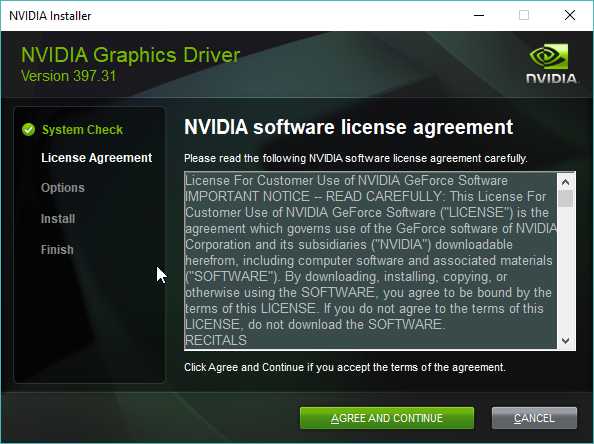 You will next be prompted to accept the NVIDIA software license agreement. Read the contents and then if you agree, click "AGREE AND CONTINUE" to proceed. 13) Select Perform clean install and then click on NEXT. 14. Once the installation has finished, reboot your PC one more time to complete the installation.